**DEFECTIVE PART MUST BE RETURNED TO MANUFACTURER WITHIN 30 DAYS RECEIPT OF REPLACEMENT USING THE RETURN LABEL PROVIDED IN THE BOX OR CHARGES WILL APPLY. 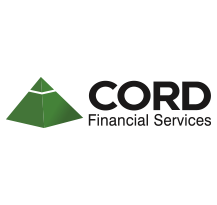 **SIGNING THIS FORM PERMITS CORD FINANCIAL SERVICES TO CHARGE YOUR ACCOUNT FOR COSTS INCURRED DUE TO EITHER NOT RETURNING PARTS TO THE MANUFACTURER IN THE AGREED UPON TIME FRAME, OR IN THE EVENT THE WARRANTED PART TESTS FULLY FUNCTIONAL. *REQUIRED FOR PROCESSING OF WARRANTY REQUEST. ALLOW 24 HOURS FOR PROCESSING. Form must be completed and sent in by 14:00 CST for same day shipping.